Among the many consequences of Hamas' stunning victory in the Palestinian parliamentary elections in late January is the final shattering of any illusions that the neo-conservative clique inWashington may have had about the benefits of democracy in the Muslim world. Although Bush et. al. officially hail the Palestinian elections as a result of their promotion of democratic change in the Middle East, it is not difficult to see the panic in their eyes. In Palestine, as in Iran, Egypt, Pakistan, Saudi Arabia, Jordan and elsewhere in recent years, the Muslim people, given an opportunity to show their political opinions through the ballot box, have voted overwhelmingly for Islamic movements rather than the secular, liberal pro-Western political parties that the West expected them to vote for. In other Muslim countries, the West is alarmed to see that the slightest political liberalization leads immediately to the emergence of Islamic movements. Despite all Western attempts to portray political Islamic movements as extremist, oppressive, backward, fascist and anti-modern, as shown in their demonization of al-Qa‘ida, the Taliban and the Islamic State of Iran, and to appeal to Muslims’ instinctive love for “freedom” and “democracy”, those stupid Muslims have only gone and voted for the wrong people again. What Western leaders simply cannot understand -- or perhaps cannot afford to admit -- is that Muslims around the world are capable of analysing their own positions and societies, and wider contemporary history, and drawing their own conclusions. They are capable of far more nuanced and complex political understanding than the West gives them credit for. The West would like to paint things in back and white, with themselves as the white (of course), and all their crimes and the problems of Western society, occurring despite their essential goodness and altruism; and the Islamic movement as the black, defined by images of Taliban traditionalism, al-Qa‘ida and suicide bombing, representing the dangers of involving Islam and politics, however committed Muslims may be to Islam as a personal faith and religion that appears peaceful and reasonable. That is how they see the world, and how they expect everyone else to see it too. Muslims, however, by and large, have more sense. They have no illusions about the West; they may enjoy Pepsi, pizza and (some) Hollywood movies, but they are well aware of the realities of moral decay and social injustice that blight Western societies. More relevantly, perhaps, they may hail democracy in broad terms, but that does not mean that they accept all the claims the West makes about the legitimacy and universality of their own political ideals and systems. Their understanding of political Islamic movements is equally mature. They know that al-Qa‘ida and the Taliban are not the real face of political Islam; they know that there remain debates within the Islamic movement about the form that future Islamic States may take, and they know that there are some within the movement whose commitment is not matched by their political and methodological understanding, leading them to commit appalling crimes that all right-thinking Muslims must condemn. Most of all, they know better than to let Western propaganda about these realities turn them against the Islamic movement as a whole. The Islamic movement, like any other broad political movement (or any other human enterprise, for that matter), is a varied and fluid phenomenon, with various parts moving in diverse directions, evolving over time as Muslims’ understanding and experience develop, and sometimes taking wrong turnings and getting stuck in dead ends. 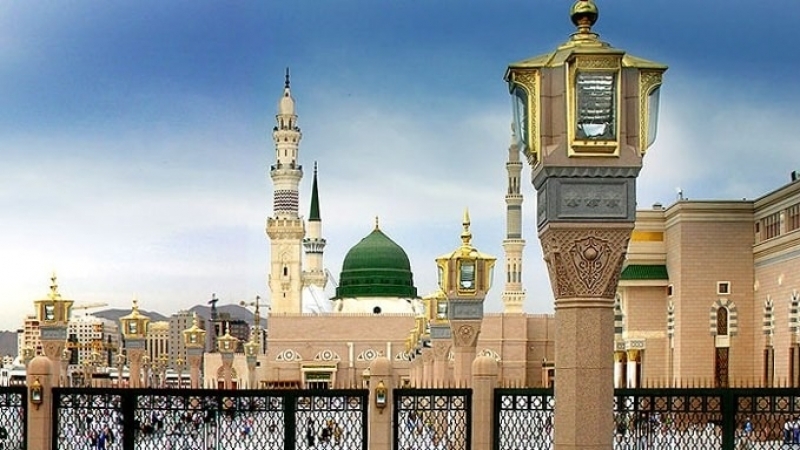 Unlike other political movements, however, its fundamental elements are firm and largely undisputed, rooted as they are in the Qur’an and the Sunnah of the Prophet (saw). The Islamic movement is the political expression of the values and principles that all Muslims hold dear as essential parts of their personal faith and collective world-view. This is what keeps Muslims turning to it again and again, whatever mistakes their leaders may make under pressure of circumstances in a world dominated by our enemies. As for democracy, this is something that means many different thinks to different people. For the West, it means liberalism, secularism and capitalism, and Westerners see the fact that people around the world demand democracy as a sign that they want Western-style governments and societies, within a West-dominated world. For oppressed and exploited peoples it means freedom from oppression and exploitation (things they identify with Western hegemony), and the independence to establish political systems and governments of their own choice in their own societies, reflecting their political values and principles, which in the case of Muslims generally means the political values of Islam. How precisely such values should be translated into modern political institutions, and what structures such political systems should use, are all subjects of debate, both in Iran, where independence has been achieved and an Islamic State established, and elsewhere, where Islamic movements are striving to achieve such independence through a variety of strategies, some of which are bound to fail. Such debate is an inevitable part of the human experience, and the history of the Islamic State confirms that political progress is more often a process of trial and error than of the implementation of idealist political theories. Such political and historical processes are always fraught, but especially so when they are being pursued while under intense attack from external enemies determined to see us fail. Under the circumstances, errors and wrong turns are inevitable, despite the best intentions of most of those involved in the movement. The sectarianism of many parts of the movement, the repeated return to the failed and discredited political-party approach, and the emphasis on military jihad without political and social strategies for change to go with it, can all be seen as such errors. Nonetheless, the fact that Muslims around the world repeatedly turn to Islamic movements, including many that have been guilty of errors of understanding or methodology in in the past, confirms that the Ummah in general understands that solutions to the problems of this world can only be found in the implementation of the timeless values and principles of their deen, Islam. What we are seeing now, in Egypt, Palestine and many other countries, may prove to be a resurgence of the political mainstream of Islam, reflecting the fundamental goodness of Muslim peoples rather than the extremist errors and misconceptions of certain marginal factions within the movement. It was the Islamic mainstream in Iran, under the leadership of Imam Khomeini and expressed by the wholehearted involvement of the Iranian peoples, that brought about the Islamic Revolution there. In time the West may well come to realize that this popular mainstream is far more dangerous to Western interests and hegemony than the militant groups that they like to pretend to think of as defining the global Islamic movement.